Online multiplayer modes of the phenomenally successful Call of Duty franchise are to be given a subscriptions-based “second tier” within the coming months, new analyst reports have revealed. 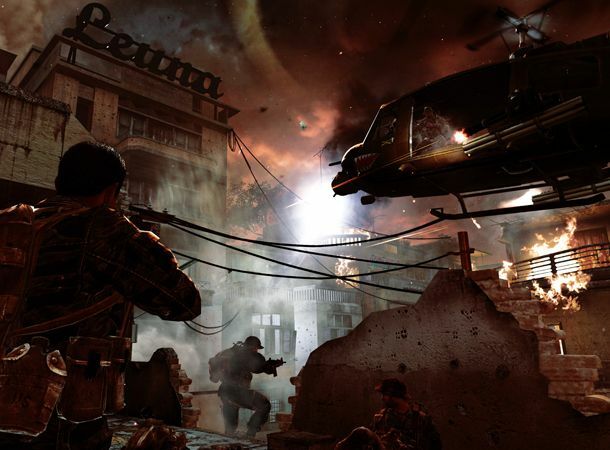 The predictions from industry analysts Wedbush Securities claim that the introduction of a monetised element to the COD online features will “occur during the first quarter of 2011" and build upon the franchise's huge fan base that has already seen latest release, Call of Duty: Black Ops, record 600 million man hours of online game play in the opening 45 days from launch. Discussing the possible introduction of paid-for online gaming modes, Wedbush's January newsletter read: "Activision remains a top pick, primarily due to the company's potential to create and monetize a second tier of multiplayer online gaming for its Call of Duty franchise. Back in September Activision hinted towards the imminent arrival of some form of subscription-based additional online content when it revealed “new service offerings” designed to “enhance” online revenues from the Call of Duty franchise were “in the pipeline”. At present it is unknown exactly what online content would be included within any such subscription-based offering. Would you fork out extra for additional online Call of Duty content? Let us know your thoughts on the matter via the T3 Twitter and Facebook feeds.